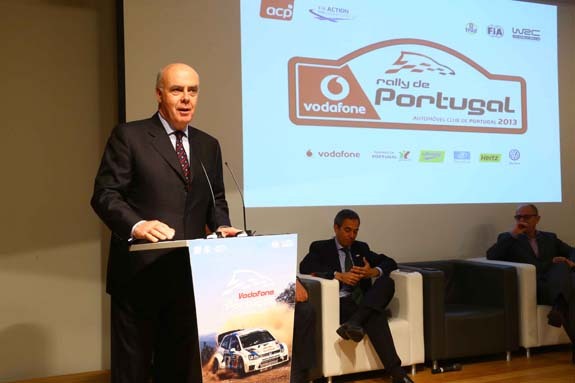 The Vodafone Portugal Rally 2013, to be held between 11th and 14th April, promises to bring back to the Baixo Alentejo and Algarve gravel tracks the great emotions of the World Rally Championship. This time, the South will host the start and Lisbon will mark the end of the first day of the competition, with drivers and machines adding once more a colourful atmosphere to the Praça do Império. Unfolding in fifteen special stages totalling 386.73 kilometres against the clock, the ACP Motorsport is expected to offer strong emotion and fierce competition just as it happened in previous years. This time, the official Volkwagen Motorsport team and Sébastien Ogier seem to hold the favourite position. The German car manufacturer started the 2013 WRC very strong, with Ogier, the winner of the 2011 and 2010 editions of the Vodafone Rally de Portugal, offering impressive performances. After only three rounds, the Gaul is the clear leader of the Championship thanks to the second spot conquered on the opening rally of the year and the wins on the two last rounds. In fact, in the last one, in Mexico, he set an impressive pace. And in Portugal he should be able to count with the support of his teammate Jari-Matti Latvala to fight for another great result, while the Fin expects better luck than in the last round. Meanwhile, the rivals promise to do all they can not to give Ogier a chance to isolate himself even more and, at the same time, to prevent Volkswagen to take the lead on the Manufacturers championship. Citroën, the present leader of the chart, will be the most interested in slowing down the German make. Mikko Hirvonen will be the main defender of Chevron’s double colours and he will be counting with the support of Dani Sordo. But the truth is that both are having a very similar start this season. On the other hand, Qatar M-Sport World Rally Team is probably the one facing the hardest task. Yet, to score a win this season and with only one rostrum by Mads Østberg, Ford’s official team will not only try to restart its campaign upon their return to Europe, but also do their best to defend the Norwegian’s performance last year, his first win on the WRC. Add this highly competitive offer to the replacement of the WRC Academy for the Junior WRC, the world debut of Citroën Top Drivers now included in the group known as WRC3 (Group N and the two wheel drive cars of the Groups R1, R2 and R3), the WRC2 (previous SWRC, which also accepts machines from Groups R4 and R5), and all the ingredients are gathered for what fully deserves the title of the “Best Rally in the World”, which is bound to offer great excitement to the wide thousands of fans who follow all the stages.